Welcome Home! 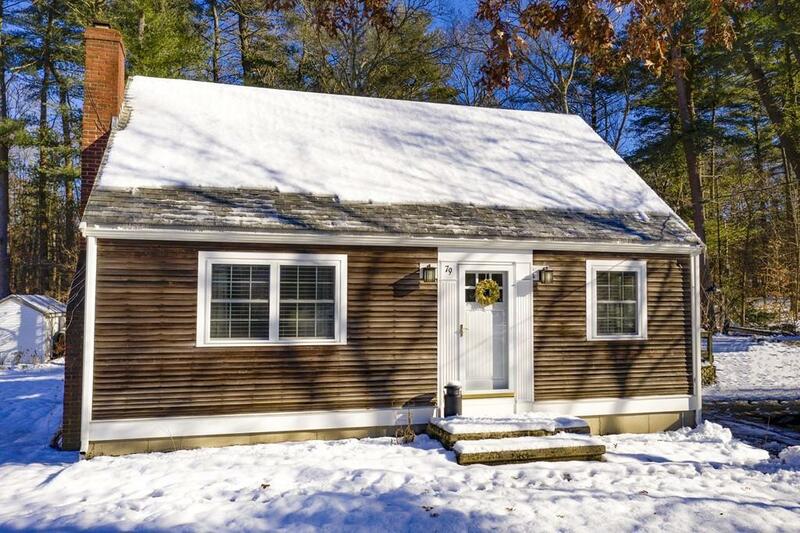 This 2-3 bedroom Cape is just the right price to get into this quiet sought-after neighborhood in Norwell with its reputation for great schools. You will feel the warmth as you enter this sun filled home. Enjoy your morning coffee in your completely renovated eat-in kitchen; "wood planked ceramic" floors, white cabinets, stainless steel appliances and granite countertops; access to a side deck to watch nature in your backyard; also adjacent to the dining room for easy entertaining. The living room with a cozy fireplace has been expanded to add a bonus room by removing the first floor bedroom wall. First floor bath was also expanded and renovated. New 3 bedroom septic will be installed prior to close if you want to add a 3rd bedroom back. Second floor offers two good size dormered front to back bedrooms and a half bath. Full basement is just waiting to be finished. Minutes to Hingham or Scituate harbor shops, beaches & restaurants and easy access to highway or Greenbush T.